Sanjeev Arora, MD, founder and director of Project ECHO at the UNM Health Sciences Center, will be speaker at “The War on Cancer: Scaling Progress,” a forum sponsored by the editors of The Economist. 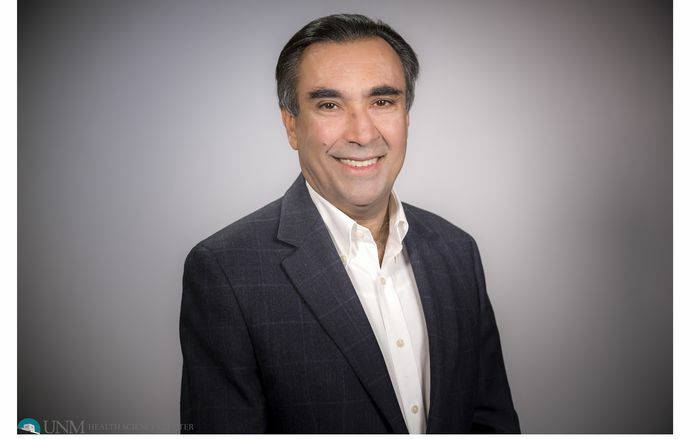 Arora will join more than two dozen prominent health care and policy experts, including Greg Simon, executive director of the White House Cancer Moonshot Task Force, at the event, set for Sept. 28 at the Hyatt Regency Hotel in Boston. 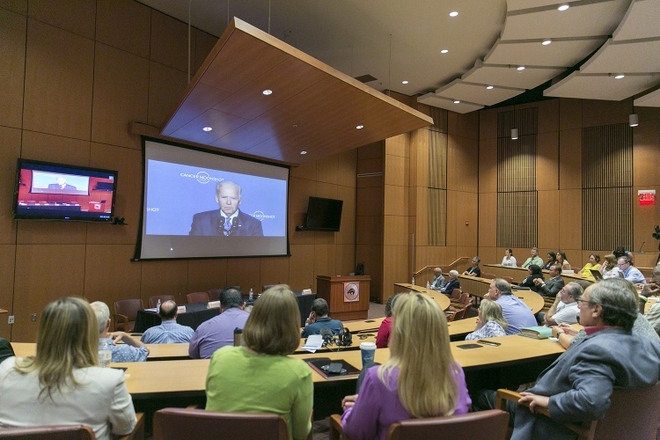 Vice President Joe Biden last year called for a “moonshot” to find a cure. Will small steps or giant leaps yield the highest returns in the war on cancer? How do we define and determine progress? How can big pharma collaborate with disruptive startups to operate at a more competitive cost, and with stronger scalability? How does immunotherapy compare with treatments such as chemotherapy or surgery in cost and value – and what is its potential impact on the overall cure rate for cancer? What can be learned from oncologists and pioneering genomic researchers working outside the United States? Arora, a professor in UNM’s Department of Internal Medicine, launched Project ECHO in 2004, using teleconferencing to help local providers treat hepatitis C patients throughout the state. ECHO has since expanded to include specialty care for dementia, diabetes, HIV/AIDS, addiction, psychiatry, pain management and women’s health. The ECHO model is being replicated throughout the U.S. and around the world. The Economist is one of the world’s most widely recognized and well-read current affairs publications. It covers politics, business, science and technology and the arts. Physicians and nurses at Mescalero Indian Hospital will now have the opportunity to consult with University of New Mexico Hospital doctors and nurses about their pediatric patients using live video. Dr. Cheryl Willman and top researchers found that Native American and Hispanic children had different genetic mutations than white children and needed treatments tailored just for them.